Every February, the American Association for the Advancement of Science (AAAS) Annual meeting, the Elsevier Foundation and its key partners, the Organization for Women in Science for the Developing World (OWSD) and TWAS, the World Academy of Sciences, recognize the accomplishments of five early-career scientists with the Elsevier Foundation Awards for Women in Science in the Developing World. The winners will receive their awards on Saturday, February 14,in a ceremony at the Minority and Women Scientists & Engineers Networking Breakfast. If you are interested in attending, contact Ylann Schemm. This year, the prizes are for physics and math fields, where women have traditionally been underrepresented in Europe and the US, but even more so in low-resource countries. 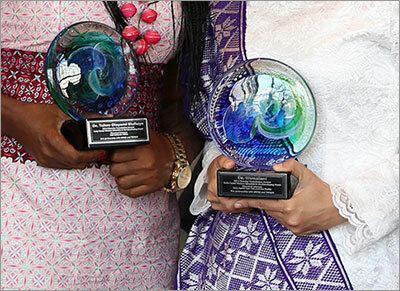 This year's winning researchers – from Nigeria, Sudan and Vietnam – are being honored for their contributions to nanoparticle physics, computational mathematics and atmospheric and medical physics, as well as their efforts to encourage other young women to pursue careers in these critical fields. "This is an impressive list of great female role models," said Dr. Charon Duermeijer, Publishing Director and Head of Elsevier Physics Journals, who has a PhD in geophysics. "I hope that many female students in physics and mathematics around the world will hear of these award winners and feel encouraged to continue their studies and further advance their careers. They too can become role models to encourage more women to study physics and mathematics, which is unfortunately still needed in the current academic climate." Nanoparticle Physics: For research on a high-speed semiconductor, studying how to lessen the film that accumulates on its surface and interferes with the flow of electrical current. She is also involved in a project developing methods for using solar radiation to treat water and for splitting water molecules so that hydrogen can be collected. 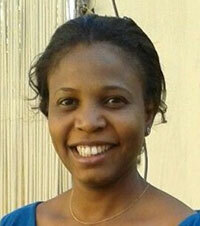 Dr. Nashwa Eassa is an Assistant Professor of Physics at Al Neelain University in Khartoum, Sudan. Concurrently, she is pursuing a post-doctoral fellowship in nanophotonics at Nelson Mandela Metropolitan University (NMMU). Her current research focuses on development of titanium oxide nanoparticles and nanotubes structures. She holds a PhD in Physics from NMMU in South Africa and a Master of Science in Material Physics and Nanotechnology from Linkoping University in Sweden. She received an OWSD fellowship in 2008 and is the Founder and President of Sudanese Women in Science Organization and a member of OWSD's South African Institute of Physics (SAIP). The prize is very encouraging for Arab women and will show girls in my country that they can achieve their career goals too. Computational Mathematics: For improvements to computer-based methods to solving difficult problems that are normally too complicated for computers to handle. Her work has helped improve the accuracy of these methods, which are useful for solving problems in fields such as artificial intelligence and computer graphics. 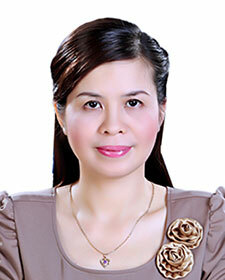 Dang Thi Oanh is the Head of Division of Science - Technology and International Cooperation at Thai Nguyen University of Information and Communication Technology. She is also a member of the university's Management Board which establishes scientific research regulations, organizes international and national conferences and encourages lecturers and students to do research. Oanh's research focuses on meshfree methods, a new area of concentration in Vietnam. 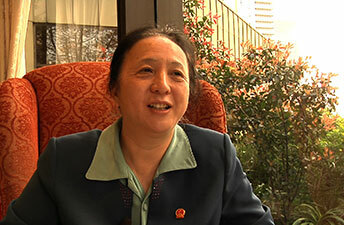 She earned a PhD in 2012 from the Institute of Information Technology under Vietnam Academy of Science and Technology. It is important that the world sees how women are contributing to the 21st century Vietnamese economy through science research. I am proud to be a part of this. Lower Atmospheric Physics: For research using modeling to understand weather and climate, as well as atmospheric radioactivity, lightning and food security. 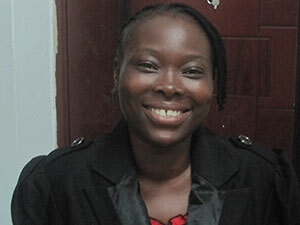 Her research has shed light on when to best plant staple crops in Nigeria. She has also presented on efforts to improve the accuracy of climate models. Dr. Mojisola Oluwyemisi Adeniyi is Head of the Atmospheric Physics/Meteorological Research Group, Department of Physics, at the University of Ibadan, where she has presided since 1997. 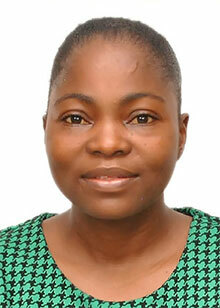 She obtained her Bachelor of Science, Master of Science and PhD from the University of Ibadan. In 2012, she earned an additional Master of Science in Applied Meteorology and Climatology at the University of Birmingham in the United Kingdom. 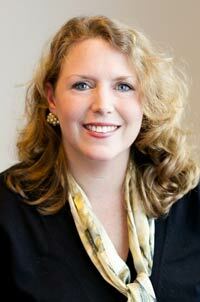 Her recent professional expertise has enabled professional training in meteorology in the department. She teaches students and colleagues software skills for the analysis of climate change and weather data. Dr. Adeniyi has carried out important work on variability of weather and climate parameters, atmospheric radioactivity and electricity and lightning and food security using theoretical methods, including statistical and dynamical models. She has attended many international and local conferences where she has presented papers, and has been very active in collaborative research projects in Nigeria and abroad. Nigeria is growing in importance in the developing world and our science research capabilities will be a big part of that. I am thrilled that my contributions to my discipline are being acknowledged. Medical/Radiation Physics: For research on how radiation affects health, finding that exposure to microwave radiation, for example, could increase anxiety and reduce sperm counts in animals. She is also active in promoting physics in her home country, participating in programmes meant to guide young women into studying university-level physics. 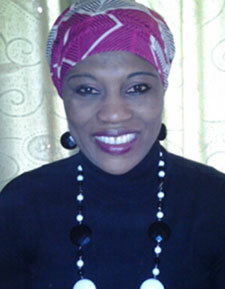 Dr. Usikalu Mojisola Rachael is a Senior Lecturer at the Department of Physics, Covenant University. She studied Physics at the Federal University of Technology Akure, and earned a master's degree in Radiation and Health Physics and a PhD under the Third World Organization for Women in Science (TWOWS) postgraduate sandwich fellowship tenable in the Institute of Modern Physics, Chinese Academy of Sciences, Lanzhou, China. She received the TWAS-UNESCO Associateship Award 2012 tenable at iThemba Labs, among other scholarly accolades, and has been published in many reputable journals. Such recognition at this moment in my career is very rewarding and I believe it will inspire my junior colleagues that hard work does get rewarded. Atmospheric Physics: For research seeking to solve Nigerian environmental challenges, such as decreasing deforestation by turning carpenter's waste into briquettes for use in place of firewood. She is currently working on a government project to gather atmospheric data, and is a mentor in local and national science projects that encourage youth participation. Dr. Rabia Sa'id lectures undergraduate and postgraduate students in the Department of Physics at Bayero University, Kano, Nigeria. Sa'id earned her Bachelor of Science, Master of Science and PhD from Bayero University, and is currently Deputy Dean of Student Affairs. She is commended for her active participation and mentorship in local and national science projects to encourage the participation of young people in science. Her research has covered Electronics, Particle Physics, Atmospheric and Space Weather Physics, and is very applied to local environmental needs, including hydropower and waste recycling. She has been published in journals for applied physics. She is the mother of six children, two with disabilities, and balances her role with serving as a role model in science education in a predominantly Muslim community where girls' education is struggling to be recognized. In some areas of our country girls' education is struggling to be recognized. This award will demonstrate how women can contribute to our society for the greater good. The Organization for Women in Science for the Developing World (OWSD) is an international organization affiliated with TWAS and headed by eminent women scientists from the South. Created in 1989, OWSD's overall goal is to bridge the gender gap in science and technology. OWSD uses its forum to promote leadership, exchanges and networking for women scientists as well as for discussions to assist in the development of national capabilities to evolve, explore and improve strategies for increasing female participation in science. "Each year, five very talented women scientists have been selected from countries with challenging conditions for science in general and for women in particular," said Professor Fang Xin, President of OWSD. "Furthermore, this year's awards are in maths and physics, two fields that typically have a low take-up rate for women. The fact that the awards are presented during the AAAS annual meeting gives the awardees high visibility and they will make many important contacts here to further their research." The World Academy of Sciences for the advancement of science in developing countries - TWAS works to advance sustainable prosperity through research, education, policy and diplomacy. "TWAS is committed to reducing the gap between men and women in the science and engineering professions so that we can better achieve sustainable development in all nations," said TWAS Executive Director Dr. Romain Murenzi. "The 2015 Elsevier award winners, through their excellent research and commitment to education, represent the important progress we are making. 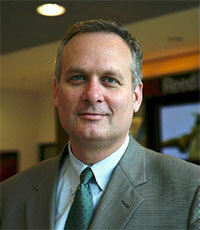 Clearly, these young women will be leaders in their fields of research and in their countries." David Ruth, Executive Director of the Elsevier Foundation, said, "We are very honored to be able to continue to recognize these remarkable women in science who are working to overcome obstacles and make valuable contributions in their respective fields. 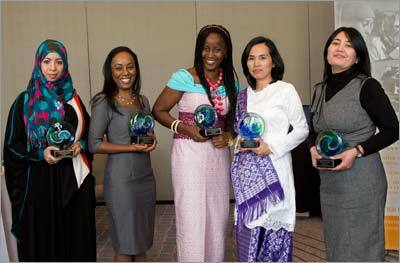 These women are leaders and we are delighted to be able to celebrate them at the annual AAAS meeting."